Hello. We are Orangutan Swing. We create spaces for play and listening. SEE OUR CALENDAR FOR UPCOMING HAPPENINGS! Quick, two things we—in our modern western civilization—don’t value. That’s right: we don’t value play, and we don’t value listening to one another. But! Both play and listening are important skills to cultivate for all of us. Especially in the coming years. Especially now that: jobs in factories are going away, people have been fighting to the point of general fatigue, people move more than ever, resources are scarce, and our environment is irreparably damaged and in dire need for respite from our constant harvesting. Creative thinking needs room to play, and listening is a big part of design process. We learned this from our 10 years in helping businesses express themselves. We think it’s time we start practicing, in our daily lives, taking time for getting out of our routines to experiment with life, and in holding spaces together for deeper voices in ourselves to arise in them, and having spaces in ourselves to receive these voices. Play is what Dipika, Akira and their 4-year-old boss-man exude, inhale, and live by. We try and infuse playfulness in everything we do. But it doesn’t end there: Orangutan Swing is set up as a way for us to create opportunities for all involved to play more, and experiment more in getting people to get out of their box. Our drink-and-draw sessions, art project like stitch, are just a few examples of this. We think our culture is too fragmented. We are inundated by onslaught of information—mostly of ads, emails, text messages, social “ping”s. We are facing many critical and “wicked” problems about resources, security, and change. Many things that we’ve taken for granted for years—about our work, education, understanding of the world, economy—are changing drastically. We feel somewhat lost, and directionless. And, we feel isolated from each other. After hosting 50+ conversations over the last 7 years, we think our learning how to talk, listen and respect our individual stories, and think as a group deeply, holds a key to solving these problems, and to becoming happier as a society. We know; it’s a pretty lofty, and maybe unrealistic, picture. But more we continue our work of creating spaces for dialogue, more convinced we are of its importance. We take space-making seriously. The intention and expectation setting is one of the most important skills for a facilitator, and Dipika and Akira have practiced doing this for a long, long time. We take methods and techniques from anything and everything from business and literary texts, zen teachings, modern parenting researches, to metaphysical musings of cutting-edge scientists. 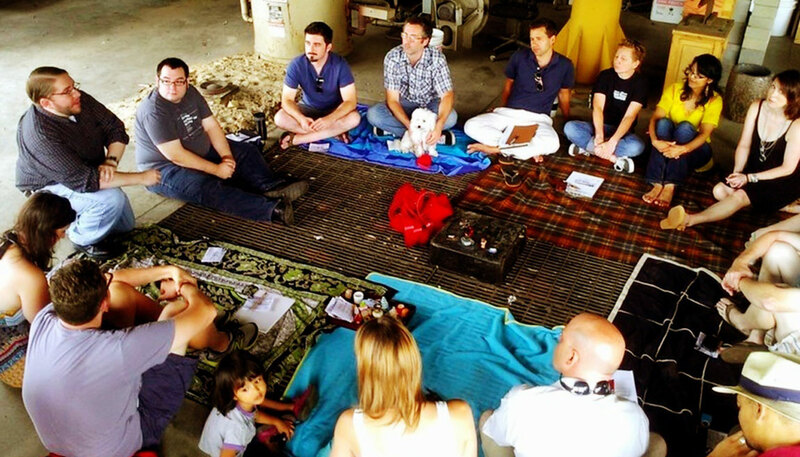 Our practice in setting the stage for optimal experience, not for the biggest pizzazz or buzz creation, resonate with people who are looking for authentic experience where learning and connection just happen, without much prodding. As Design Kompany, we started hosting roundtable events in Seattle in 2006. Immediately, we felt a collective “sigh of relief.” Random people came out from the woodwork to share their stories. People came up to us at the end of the events and told us that the conversation they experienced was one of the most rewarding they’d had in years. They wanted more. For years, though, we felt that organizing events was outside of our core offerings. It wasn’t “what we did” at the time. We weren’t building our livelihood with it. But after we moved from Seattle to Durham and found ourselves hosting events, almost despite ourselves, we realized hosting conversation is one of our callings. We realized our practicing the art of listening, conversations and hosting playful gatherings had direct connection to our work as marketing and design consultants. When we started in 2006, we thought the events were our “marketing and promotion” function—get out more and be seen. But in fact, the events became where we learned our most important lessons, and from where we drew inspirations for our other work. Besides, we’d accumulated enough practice hours, it started feeling natural. So, at the beginning of 2012, we made a vow to host 30 roundtable events. And we committed to the idea by creating a separate domain: Orangutan Swing. We wanted to infuse playfulness into our DNA by invoking our hairy, funny-faced cousins. We might be trying to solve world-class problems, but our style needs to be grounded by human-level vulnerability. 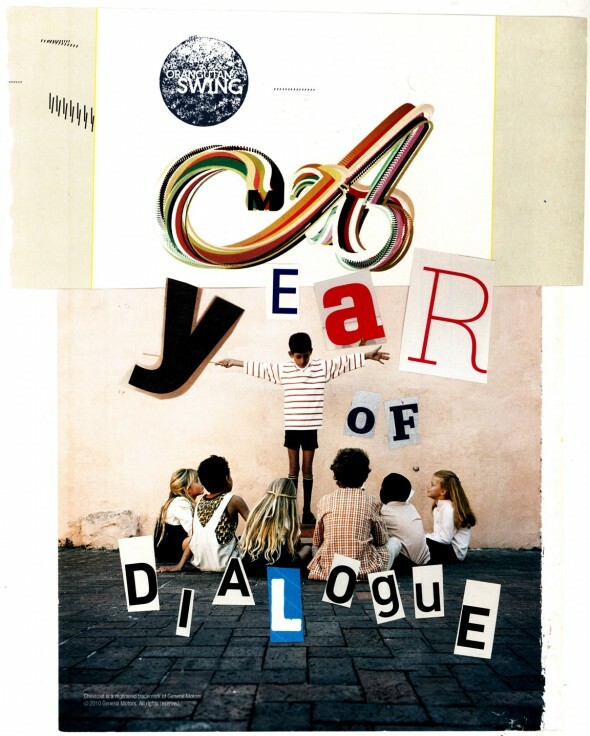 We’re working on our Year of Dialogue report currently. We are also cooking up some exciting plans to take Orangutan Swing to the next level. Stay tuned! Check out our event calendar, and see you at our next gathering!